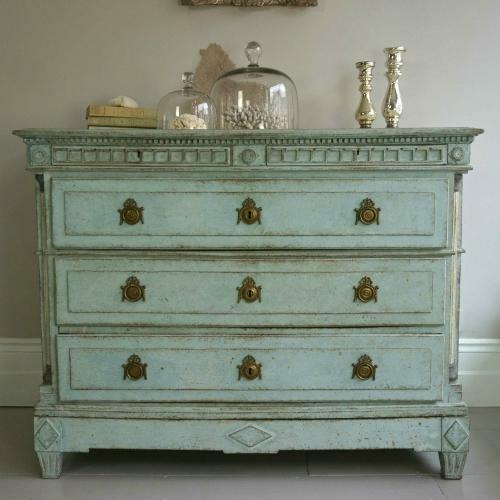 An exceptional and beautifully carved 18th century Gustavian period chest in stunning pale blue patina. Featuring a faux painted white marble top with dentil trim, over a pair of slender letter drawers with geometric carvings and diamond details to the centre & each corner, with three further full size panelled drawers below with original decorative brass hardware, contrasting white neo-classical columns to the front corners, a carved apron with diamond details, and tapered & fluted feet. Danish circa 1770.